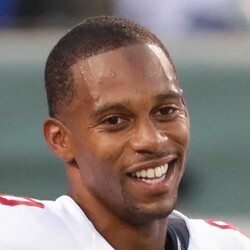 The New York Giants beat writer Art Stapleton is reporting that the Bears have released wide receiver Victor Cruz. This is somewhat surprising after the Bears witnessed their top wide receiver Cameron Meredith go down with a season-ending knee injury just one week ago. You would have thought they would try and keep depth, but ultimately his salary was too large for them. The writing was on the wall when they played him into the fourth quarter of the first preseason game. If he can't stick to a wide receiver-needy team like the Bears, it's likely the end of the road for Cruz, who was a dominant fantasy player in 2011. It was a great story of a former undrafted free agent, but all good things must come to an end.